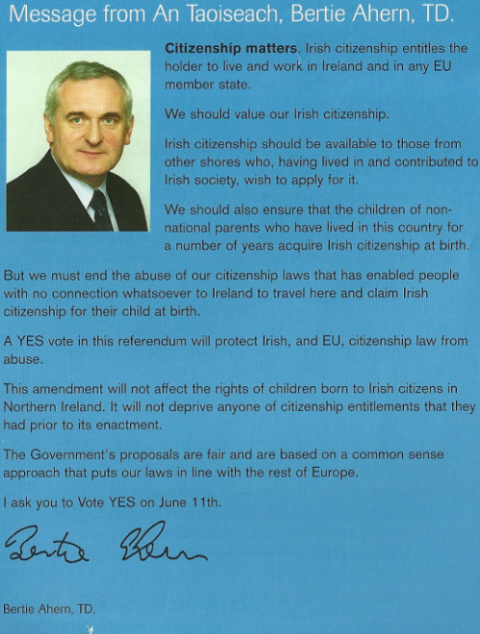 From the 2004 Citizenship Referendum, Fianna Fail asking for a Yes vote for Common Sense Citizenship. 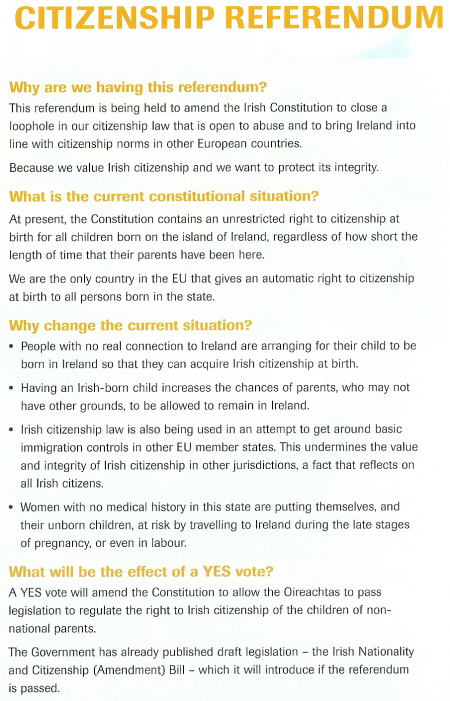 Up until 2004 if your child was born in Ireland, you were entitled to citizenship. 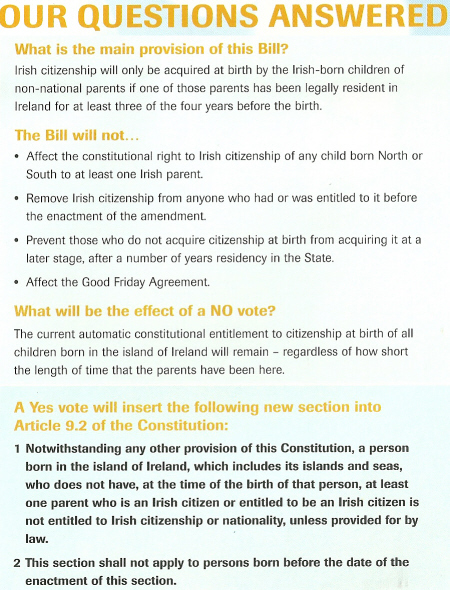 It was felt that this provision was being abused. Jesus, this is depressing to see again after this time.